Display models available for 30 minutes session. All walk ins are welcome. No appointment. First come, first serve. Display models available for 1 hour session. ​Ceragem Therapy is an amazing 100% natural therapy using thermal accupressure massage which increases blood circulation, purifies blood, increases immunity, relieves stress and aligns your spinal cord. ​​CERAGEM Co. Ltd is a leading South Korean health care company that was established in 1998. 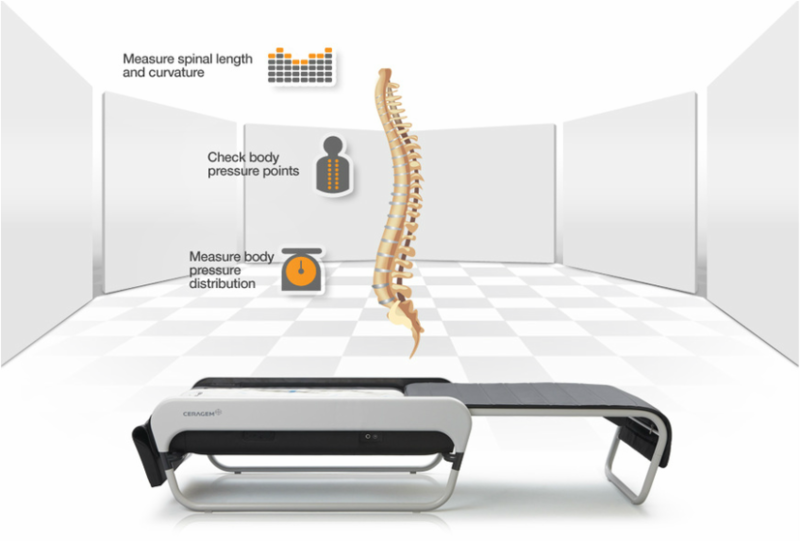 The Ceragem Master V3 is a state-of-the-art thermal acupressure massages bed that measures spinal length and curvature, and then massages the pressure points for increased blood circulation and to reduce stress. Established in September 2016, Day N Night Health Solutions is a one-stop solution for all your aches and pains. Offering a range of thermal massage therapy amalgamated with sound therapy, CERAGEM Master V3 provides higher relaxation. However, it is essential to consider the fact that CERAGEM Thermal Massage Demonstration Center is only for those looking at the therapeutic benefits of massage therapy. It is not for those just looking for a free session for fun. Enhanced with therapeutic benefit to relieve and alleviate a multitude of health issues, the basic premise and functionality includes benefiting from the Thermal acupressure. The roller massager has a semi-precious Jade crystal, which when heated, emits infra-red rays that penetrate deep into the skin and relaxes the muscles. Additionally, it works on the acupressure points in your body. The Korean technology based massage bed, not only sends in mild heat waves along with the jade stone infused roller, but combining the technological advancements, it helps to alleviate the stress and pain especially as it moves down the spinal column. The roller, as it moves down the spinal vertebral column, the pressure points are pressed gently and that provides relief to the knee pain, arthritis, improves blood circulation, joint pains and is known to bring relief to a multitude of other disorders. Our business is owned and managed by Paramjit Mond, a health aficionado who wants to create awareness about alternative methods of pain management and has helped thousands of people find relief from a range of diseases and disorders. We also sell Ceragem Master V3, ceramate and shoulder massager. Check out U TUBE For Worldwide Testimonials.